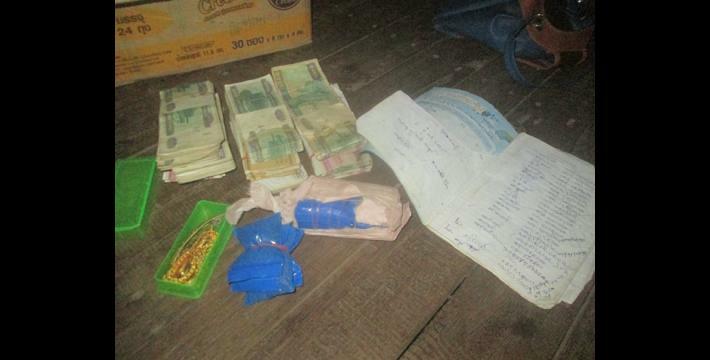 This News Bulletin describes drug issues and local armed groups’ response in Hpa-an and Dooplaya districts between February and December 2015. In Dooplaya District, elderly women who have family members in armed groups, living in the villages near Kawkareik Town, are secretly selling drugs while their husbands are on military duty. 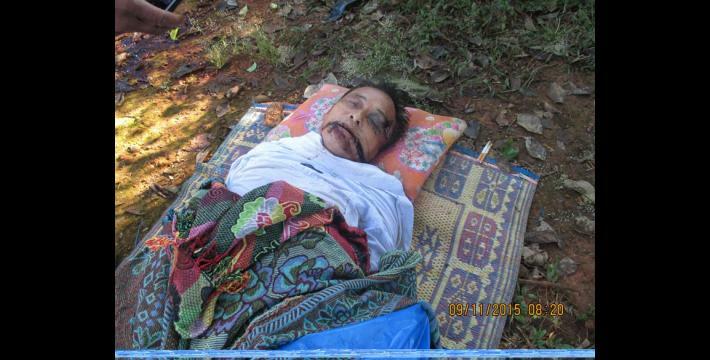 A villager who was over 50 years old was killed in a motorcycle accident. 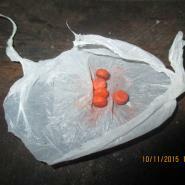 The person who crashed into him, Saw A---, was under the influence of the yaba drug. He was ordered to pay compensation to the deceased man’s family. 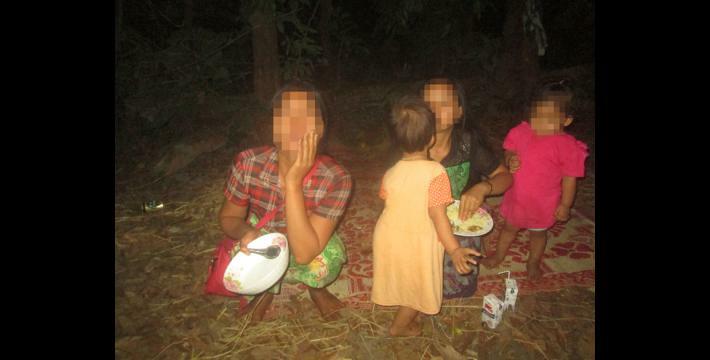 A group of BGF soldiers went into O--- village in Paingkyon Township on February 12th 2015 to arrest a woman, Naw B---, and her two daughters, as they have been selling yaba in the village. Naw B--- escaped during the raid on her house and is currently hiding with the KNU/KNLA Peace Council (KNU/KNLA-PC) Htaw Meh Pa Battalion, which is led by Commander Kyaw Kyaw. Her two daughters were arrested and brought to a BGF base in the area. 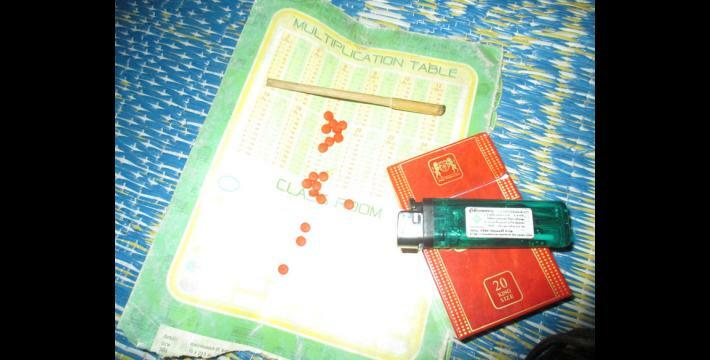 As can be seen in previously published KHRG reports, armed groups such as the Karen National Union (KNU), Democratic Karen Benevolent Army (DKBA), Border Guard Force (BGF) and the Tatmadaw have previously attempted to cooperate to address the drug issues affecting communities in Karen State and take serious action in cases related to drugs. 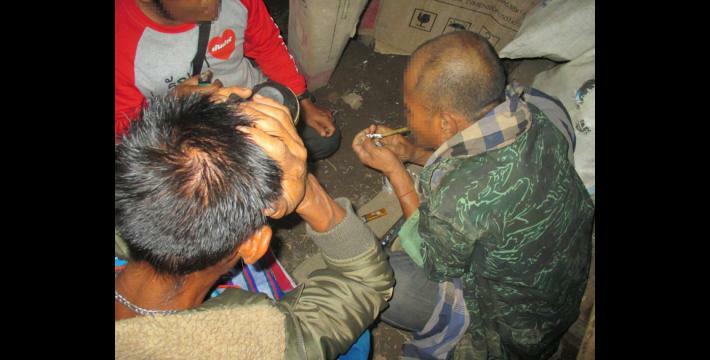 However, the production, sale and use of drugs are ongoing and have become a point of great concern in Karen State, especially in Hpa-an and Dooplaya districts. 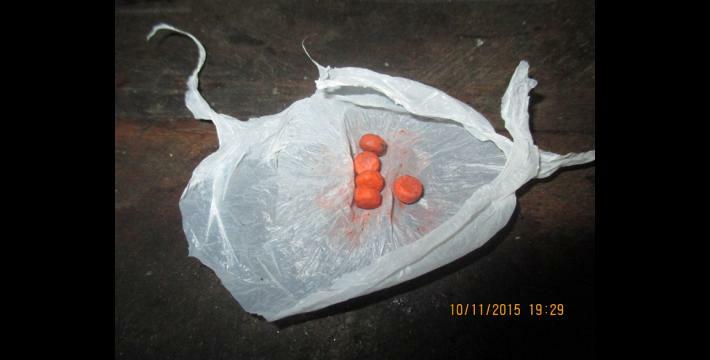 According to a KHRG community member from Dooplaya District, the sale of yaba (methamphetamine) drugs in the villages near Kawkareik Town increased in 2015 and continues to increase in 2016. He reported that usually, it is the older women, those who are married to armed group members, who secretly sell yaba when their husbands are not home. 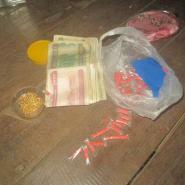 The sale of drugs also occurs in many other places near the Thai-Burma/Myanmar border, such as Waw Lay village, Thay Baw Boh village and Hpa Lu village. The widespread use of methamphetamines has been negatively affecting not only users, but also innocent community members. A stark example is the death of a villager named Kyaw Bleh from Mi Gan Kyar Ma Nai village, Kawkareik Township, Dooplaya District, who was over 50 years old. 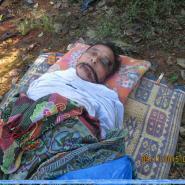 He was killed in a drug-induced motorcycle accident in Kaw Hser village while he was on his way to Kawkareik Town. Saw A---, the driver who crashed into Kyaw Bleh’s motorcycle, was taken to the hospital after the accident. 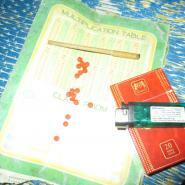 He mentioned that he had used yaba before driving and as a result, he accidently collided with Kyaw Bleh’s motorcycle. 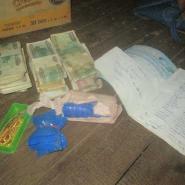 Given the negative consequences of the use of yaba, some armed groups have been taking action against known yaba dealers. 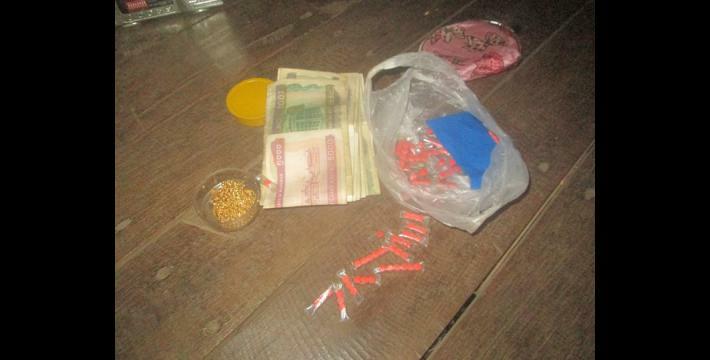 In one case, on February 12th 2015, BGF soldiers came into O--- village, Paingkyon Township, Hpa-an District, to arrest Naw B--- and her two daughters, as the BGF were informed that they sell yaba in the village. However, they were not able to arrest Naw B---, as she escaped to evade arrest. During the raid on her house, they found 20,000 pills of yaba and a 32 mm pistol, as well as some of the money that she and her daughters earned from selling the drug. Naw B--- is currently hiding with Karen Peace Council’s (KPC) Operation Command #3 Htaw Meh Pa Battalion, which is led by Commander Kyaw Kyaw. This News Bulletin was written by KHRG office staff and is based on information from community members from Dooplaya and Hpa-an districts who have been trained by KHRG to monitor local human rights conditions. It summarises information from three photo notes and one situation update received by KHRG between February 2015 and January 2016. In order to increase the transparency of KHRG methodology and more directly communicate the experiences and perspectives of villagers in southeast Burma/Myanmar, KHRG aims to make all field information received available on the KHRG website once it has been processed and translated, subject only to security considerations. For additional reports categorised by Type, Issue, Location and Year, please see the Related Readings component following each report on KHRG’s website. See for example, “Hpa-an Situation Update: Paingkyon Township, June to October 2014,” KHRG, August 2015, as well as, “Hpa-an Situation Update: Hlaingbwe, Nabu, Paingkyon and Hti Lon townships, May to July 2014,” KHRG, November 2014. This information was included in unpublished Photo Notes received by KHRG in January 2016. It is not clear which BGF battalion conducted the operation; Battalion #1015 has traditionally operated in this area. This information was included in unpublished Photo Notes received by KHRG in 2015. This information was included in an unpublished Situation Update received by KHRG in January 2016.